The Racer chassis, available in the single speed version and with the gearbox, takes a S but loses weight in favor of a better handling. However, the design philosophy based on the molybdenum chrome tubes of Ø 30 mm, remains unchanged. 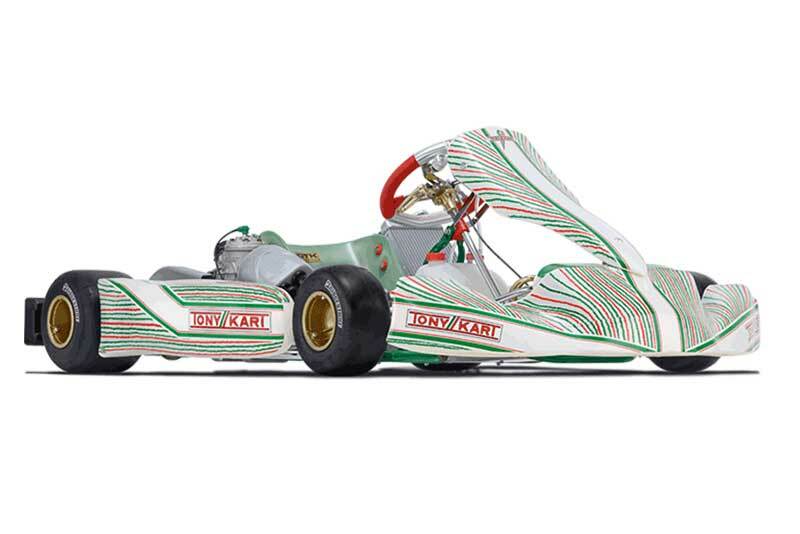 Many are the enhancements done on the previous 401, suggested by the Tony Kart Racing Team and developed by OTK Kart Group R&D department. is composed by a frame realized with Ø 30 mm tubes in molybdenum chrome steel, adjustable in height both front and rear. It is supplied with two torsion bars which allow to modify the rigidity of the chassis. The adjustment of camber and caster is easily changeable thanks to the incorporated uniball eccentric washers, it is provided with magnesium OTK components. The brake system can be chosen among the BSS – BSD –SA3 according to the category in which is used. 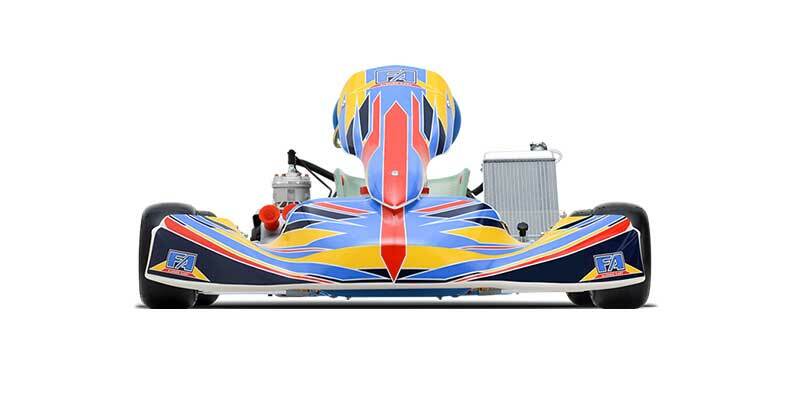 NOESIS S is equipped with OTK adjustable pedals in forged aluminium and with the renewed exhaust supports. the chassis takes a S, this is the latest version of our top-range model. The Mercury S, available in the single speed version and with the gearbox, is even lighter in favour of a better handling. 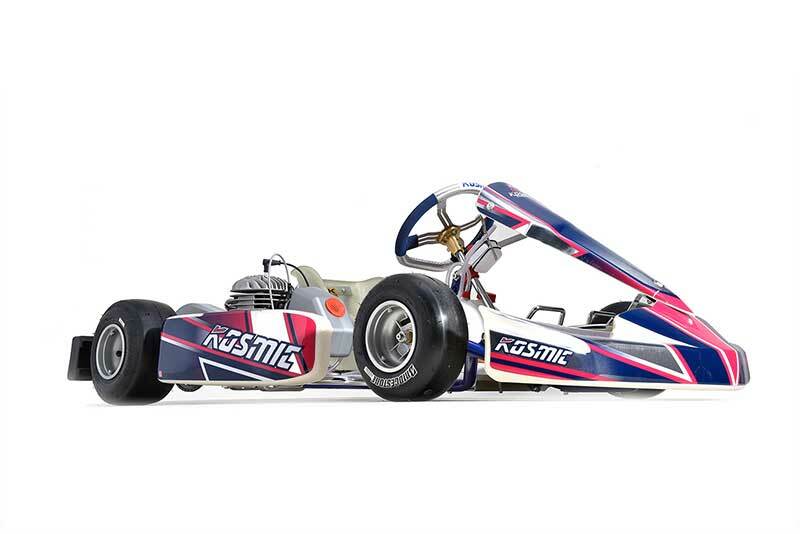 The two World Championships won in the last two seasons, gave additional energy to the Kosmic Kart Racing Department and to OTK Kart Group R&D department, so the Mercury S presents several enhancements on the frame made of molybdenum chrome tubes of Ø 30 mm, thus placing it always, and only, at the top. Victory S is equipped with OTK adjustable pedals in forged aluminium and with the renewed exhaust supports . Redspeed Rx S is composed by a frame realized with Ø 30 mm tubes in molybdenum chrome steel, adjustable in height both front and rear. It is supplied with two torsion bars which allow to modify the rigidity of the chassis. 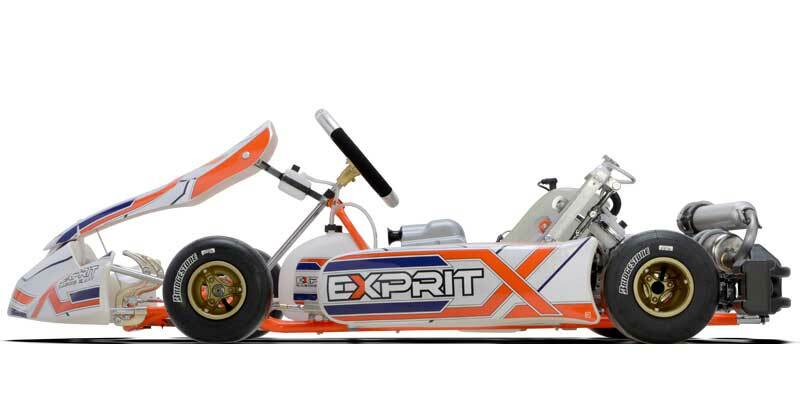 Rx S is equipped with OTK adjustable pedals in forged aluminium and with the renewed exhaust supports .